Only 3 days to start the Barcelona Beer Festival 2018. A meeting point strengthened and aimed at lovers of craft beer. From Friday March 16th to Sunday March 18th, this national event where more than 80 shooters with more than 350 national and some international beers will be presented and will be available. The 6th edition of the festival (the 2017 edition) closed with a total of 32,000 visitors. For this edition is expected to improve this number and continue its upward progression. 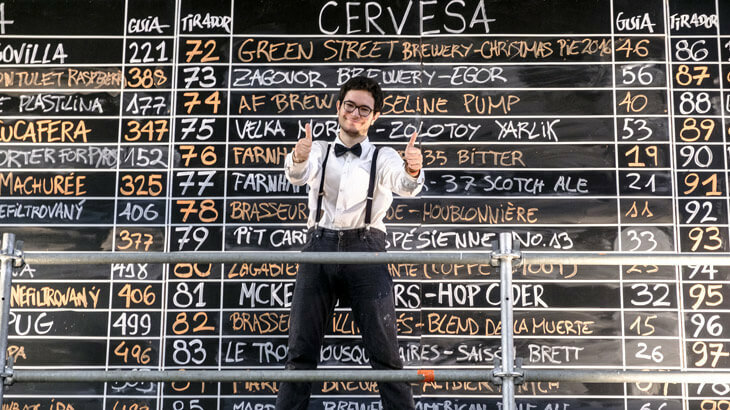 The Barcelona Beer Festival isn’t a festival just tasting beers. The entrance ticket allows access and participation to an extensive program of activities. From presentations and conferences where will talking about the culture of beer to a gastronomic space where you can learn about different proposals. All this aims to encourage and internationalize the beer culture of our country. The operation of the event is simple: The festival works with own glass and coins that are acquired at the points of sale. It will only be served in the glass of the festival and will only be pay with the festival coins. The entrance to the festival includes a glass, a guide and the first two coins. The entrance to the Barcelona Beer Festival can be purchased in advance online on the festival website or on the premises itself. One day entrance. € 8 Includes one day access, glass, guide and 2 coins. BBF-Experience. € 50 Includes three-day access, tasting glass (tastings can be made to 1 card), 20 coins, t-shirt, cloth bag and preferential purchase of activities. Friday, March 16th: 11 a.m. to 11 p.m.
To get there, we recommend public transportation. You will find both metro (L1 – Rambla Just Oliveras), train (Sant Josep, lines R5, R6, R50, R60, S4, S8, S33 and L8) and bus.